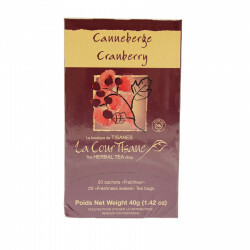 La CourTisane introduces its package of 20 tea bags of herbal tea with cranberry flavour. 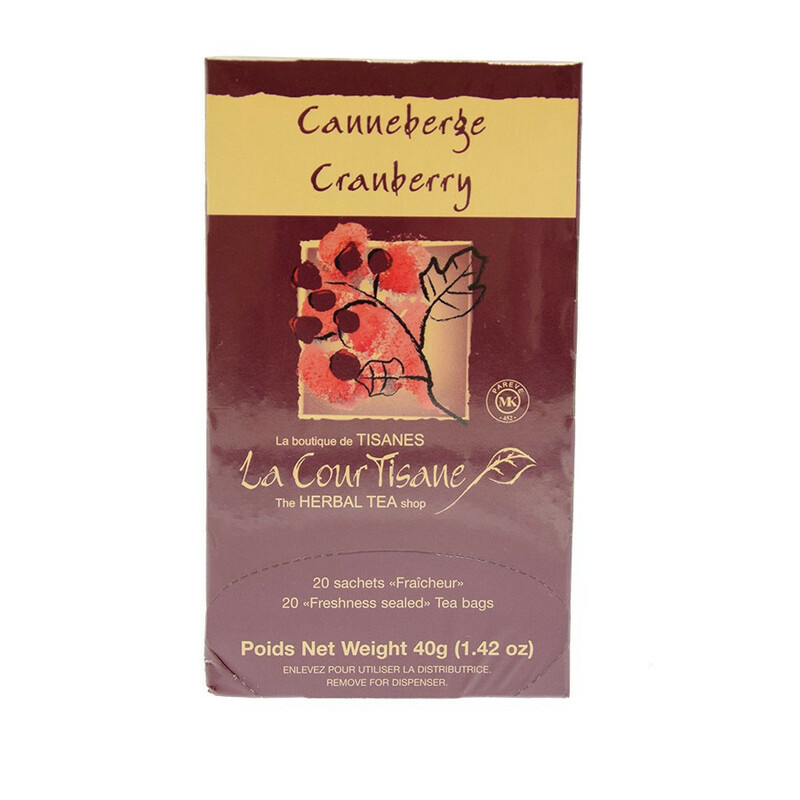 This cranberry herbal tea is 100% natural like the selection of La CourTisane. Hot or iced, allow "La CourTisane" to tempt you with its delicate aroma, its enticing colour and its originality. To make an iced herbal tea, use one tea bag per cup. Pour 1/3 of a cup of boiling water. Steep for 3 to 5 minutes. Remove the tea bag and fill with ice cubes then stir and enjoy! Ingredients: hibiscus flowers, lemongrass herb, birch leaves, natural flavours, rosehips, juniper berries, citric acid, cinnamon bark, star anise, liquorice root, cloves, cranberries.